On Jan 15, 2018, Time magazine published an article entitled “The Birthday Breakthrough” written by its editors.The feature article includes a full-page photo of 5 -year-old Mohamad Nasir (also featured on the front cover). The piece also profiles six other children from Dalocha, Ethiopia who are similarly celebrating their fifth birthdays. The article lauds the striving of some of the world’s most destitute countries who have been making significant advances in healthcare initiatives to reduce child mortality rates. According to the report, from 1990-2012, Ethiopia has “wrestled down its morality rates for children under five by two-thirds”. Through initiatives taken by local government and WOW’s grassroots partners, similar headway has been made in Zambia. According to Unicef, an UNAIDS 2015 report, 85,000 children in Zambia are living with HIV. With the implementation of their Prevention of Mother- to -Child -Transmission programme (PMTCT), children born with HIV has dropped by 51% between 2011- 2012. Also, the number of newly infected children in 2016 is down to 8,900 from 13,000. Alpha is one of these children. 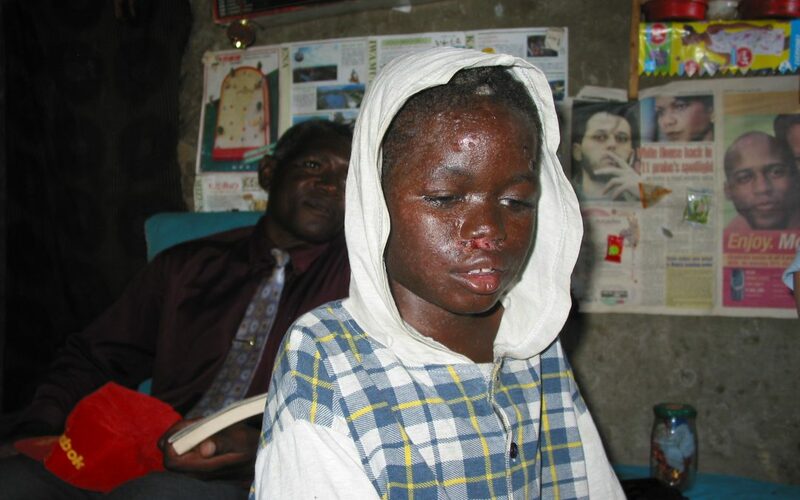 Born HIV positive, when we met Alpha in 2005 he was just 7 years old and was already suffering from a depressed immune system; covered with a painful fungal infection on his face and body. Thankfully WOW’s home based care workers were able to get Alpha to a local hospice where he could regulate medications and receive treatments for his fungal infection. It was our delight to return two years later in 2007 to find a plump, healthy, rambunctious 9-year-old fungus free boy! We may not believe that many of us get the opportunity to heal the sick, yet every day, WOW provides the North American church just that opportunity. It may not be through the laying on of hands, or by touching the proverbial garment (not to ever minimize these miracles), but to many of our brothers and sisters overseas, like little Alpha, the sharing of a portion of our resources results in an absolute miracle of a changed life. What is more, every sick person who is cared for by our home based care workers also is ministered to by the sharing of God’s love through the message of the gospel. Thanks to your generous help, in 2016, WOW shipped 6.55 tons of pharmaceuticals overseas to help children like Alpha.